The Purpose: Collectively discuss the needs of the future diagnostician – what we have come to refer to as the “Diagnostic Cockpit” (DxCP) of the future. 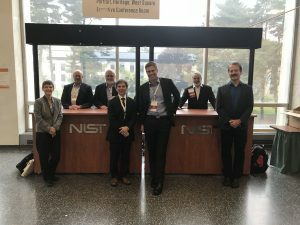 This workshop facilitated dialogue amongst industry, imaging research academia, the broader physician community, and federal government agencies whose missions and expertise bear on medical imaging. This was a continuation of the Academy Scientific Symposium held in September 2017. Breakout Session A: Define the scope of the product. Breakout Session B: The movement from qualitative to quantitative findings and the need for standardized references. Breakout Session D: Environmental factors, billing/patient/workflow/diagnostician perspective. RadPath article: Corey W. Arnold, PhD, et al. Define the scope of the product. Concisely define the current and future state of diagnostics. Environmental factors, billing/patient/workflow/ diagnostician perspective.